Target 1: Median Household Income | Propel L.A.
Household income is the aggregate income of all the people who occupy a housing unit.1 Median household income2 refers to the “middle” value (i.e., 50 percent below / 50 percent above) in the list of households. Traditionally, this economic measure provides information about whether an average household can afford the cost of living, dominated primarily by housing costs, in a region. To set a target for median household income, we first used the U.S. Census data to identify the most common household composition in LA County and its employment characteristics. Here, the “most common” value refers to the statistical mode. (Figure 1) Married couple is the most common household type in LA County. Since the average size of a married couple household is 3.80, Propel L.A. rounded the value to the nearest integer (i.e., 4) and assumed that the married couple household is composed of two parents and two children. (Figure 2) Propel L.A. used the two-working-parent family’s budget ($74,679) to identify the amount of money required to cover a common household’s basic needs in LA County. Since “married-couple family with two working parents and two children” is the most common household composition and respective employment characteristics in LA County, we then identified the total income required cover their basic needs. For this, we used the California Budget & Policy Center’s estimated family budget, taken from Making Ends Meet: How Much Does It Cost to Support a Family in California? (December 2017). 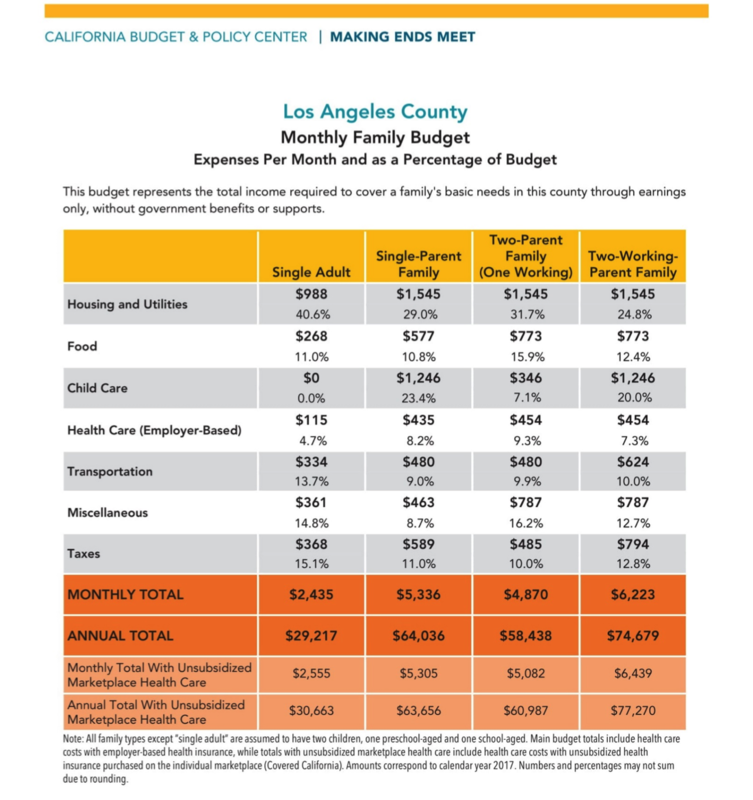 (Figure 3) Propel L.A. used the two-working-parent family’s budget of $74,679 to identify the amount of money required to cover a common household’s basic needs in LA County. Starting with the California Budget & Policy Center’s two-working-parent family budget of $74,679, we used the Consumer Price Index (CPI) to analyze and compare inflation-adjusted median household incomes across a multiple year reference period. We found that, overall, real median household incomes have just started (in 2017) to surpass their pre-recession values. Even so, this is still well below the $74,679 that the California Budget & Policy Center estimates that a family would need to cover its most basic needs. (Figure 4) Despite the nominal value increasingly annually, real median household incomes are overall below the values before and during the Great Recession. The first year that real median household income exceeded the values before and during the Great Recession is 2017.
calculating the future value of the $74,679 that is required today, assuming a 2.0 percent annual inflation rate, yields a real median household income value of $79,249 at the end of 2020. Here, we assume ceteris paribus, that is “all other things being equal” and “all else unchanged.” Although variables such as increased cost of living and inflation will change, we cannot predict these factors when setting our 2020 target. Altogether, we hope to see the median household income in Los Angeles County rise to $80,000 by the end of 2020. This value would cover the basic needs of a typical “two-working-parent family” and exceed the real median household incomes before and during the Great Recession. Median income is the amount which divides the income distribution into two equal groups, half having incomes above the median, half having incomes below the median. The medians for households, families, and unrelated individuals are based on all households, families, and unrelated individuals, respectively. (https://www.census.gov/programs-surveys/cps/technical-documentation/subject-definitions.html#medianincome). Table B19013, 2017 American Community Survey 1-Year Estimates and Propel L.A. Analysis. Versions of this table are available starting in 2005. The latest available data is from 2017 as of the time of publication.